Originally from Wellington, Christopher Hutton is Associate Professor of Violoncello at Furman University in Greenville, South Carolina and the cellist of the Poinsett Piano Trio. He has returned to NZ to tour several times as a duo or with his trio. Christopher studied at Boston University with Leslie Parnas and earned Master of Music and Doctor of Musical Arts degrees with Paul Katz and Steven Doane at the University of Rochester's Eastman School of Music. He has performed widely, including solo and chamber music recitals in his home country, his adopted home of the United States, and in Europe. He has recorded for RNZ Concert, Germany's SWF Radio, and appears on a disc of contemporary music on Albany Classics. 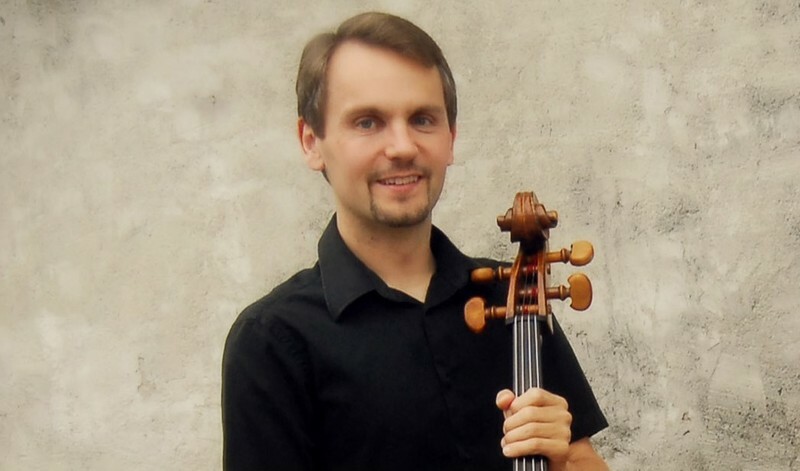 Christopher served as co-principal cellist of the New World Symphony Orchestra under music director Michael Tilson Thomas and has played in the New Zealand Symphony Orchestra as well as other orchestras in the United States. He has enjoyed collaborating with composers, including New Zealanders Helen Bowater and Christopher Marshall. He returns to NZ with a solo programme that is part of “Reflecting BACH” a recital project created by Christopher, focused on Johann Sebastian Bach's beloved Six Suites for Unaccompanied Violoncello as well as programs that combine Bach's music with more recent works that he believes demonstrate links with Bach that will resonate with modern audiences. J.S. Bach was not widely known as a composer when he wrote his cello suites almost 300 years ago. Cellists only gradually learned of the pieces through hand-copied scores, with multiple editions published in the 19th century for use as etudes. It was not until the 20th Century that they began to be performed as concert music and gradually rose to their current status as the most important and treasured works written for solo cello. Many later composers such as Max Reger, Benjamin Britten, John Harbison, John Corigliano and William Bolcom have since created engaging works inspired by the music Bach wrote centuries earlier.